1.The process begins with our initial phone conversation. We want to know how to help you. It is a general overview of the project(s) you would like to complete. 2. Prior to us meeting, it is imperative that we begin to get a sense about what you like as well as what you DON’T like. You will receive a questionnaire that explores your style, your preferred colors, and furnishings that you want to remain in place. Any photos that you can provide that serve as inspiration are very helpful. 3. 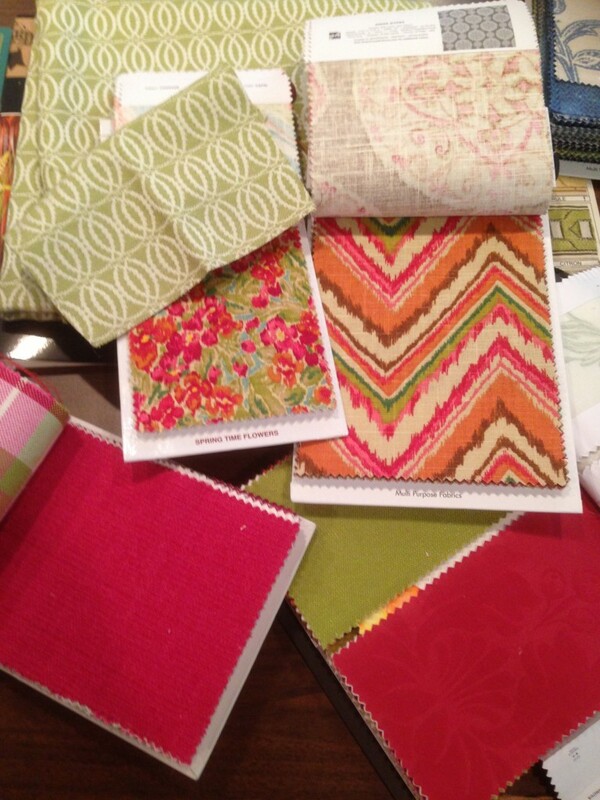 At our first meeting, we will bring a selection of samples to further identify what you like. This gives us more insights about how to develop a plan that is a reflection of what YOU want. We will take measurements and pictures which will be references needed to proceed. During this time is when we finalize the scope of your projects, answer questions and move forward with an agreement. 5. Orders are then placed and project management begins. We keep track of the progress of each order and the scheduled manufacturing and shipping dates. We receive the items, inspect them to make sure they are correct, and coordinate installation.